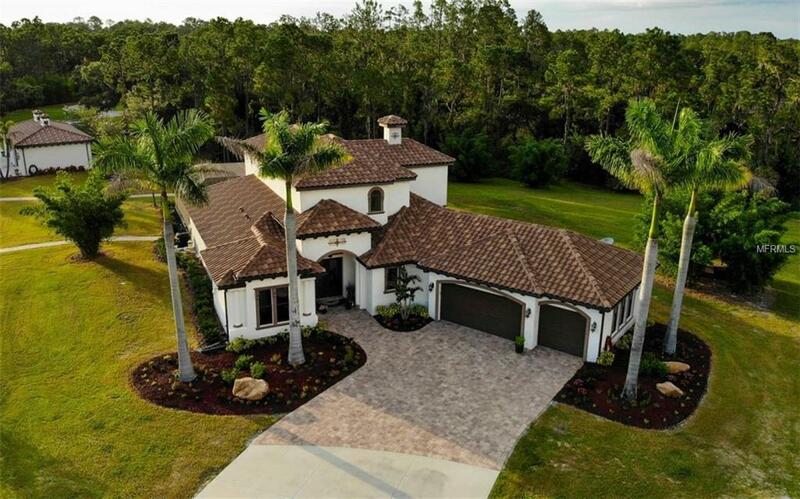 HUGE PRICE REDUCTION- MOTIVATED SELLER AT PRIMERO ESTATE, located in Panther Ridge's premier equestrian community, Foxwood. 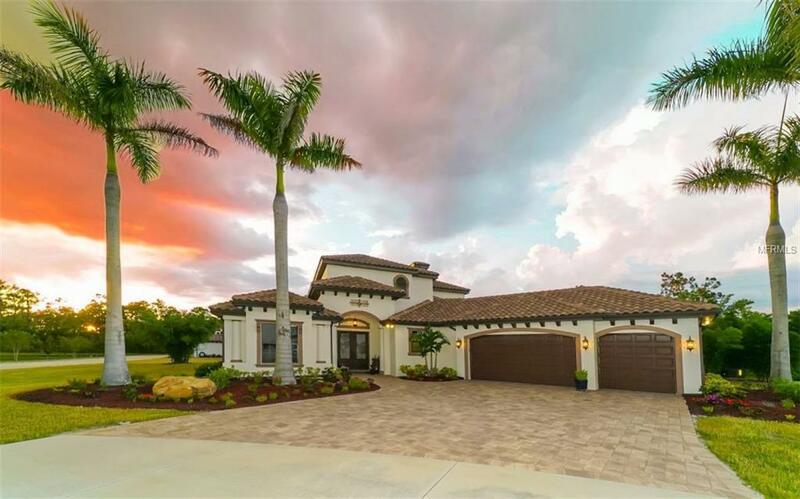 The Spanish inspired Lee Wetherington custom built estate, built in 2013 and awarded the Fl. Green Home designation, features 4/5 bedrooms, 3 baths, on 14 VERY private acres. The estate cannot be seen from the road by design, privacy is guaranteed. 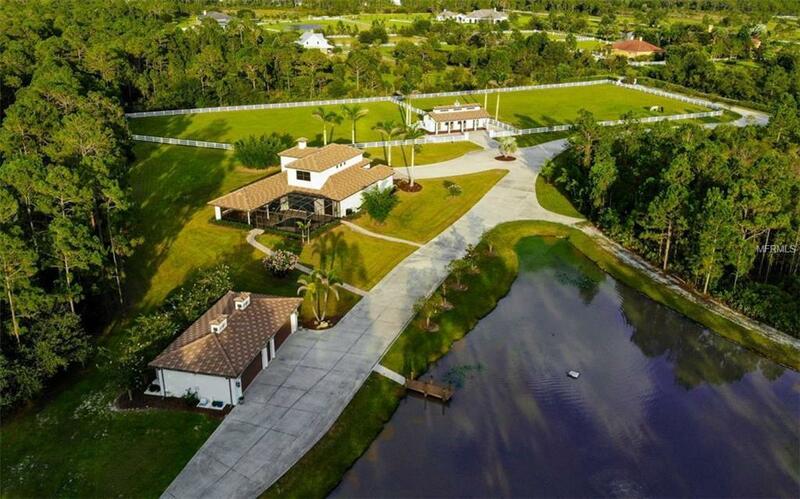 The driveway takes you past the stables & fully stocked lake complete with private dock to the home where you will find custom double doors that lead you into a foyer w/dramatic 2 story 25' ceilings. 1st floor includes: The Owner's Suite w/Spa Bathroom, a true chef's kitchen w/dbl ovens, stainless steel appliances, ctr island, b'fast nook, formal dining room, pool bath, den, laundry room & 2 guest bedrooms w/Jack & Jill bathroom. Disappearing sliders lead to the resort-styled spa & outdoor kitchen. 2nd story: Lg bonus room, 2 bedrooms & a bathroom. Flooring throughout is tile or engineered plank flooring. Also included- A generator that will run the important areas of the home & a state of the art water system. There is also a detached 4 CAR GARAGE (1152' sq. 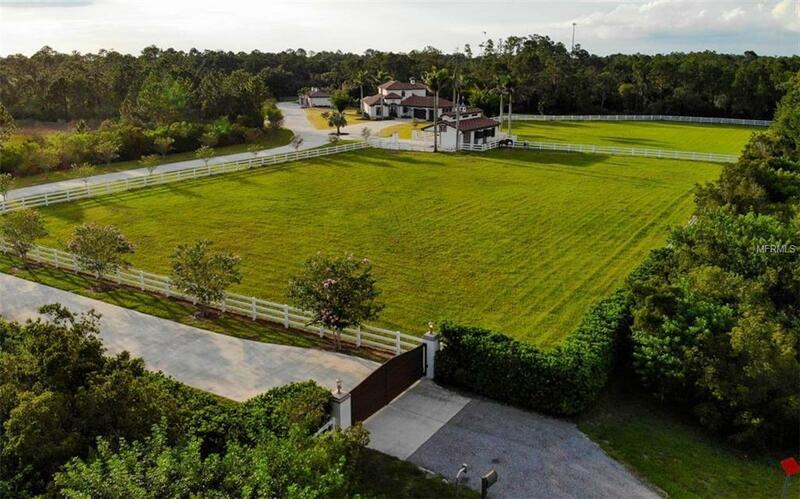 feet) w/refrigerator, washer/dryer & THE STABLES feature an outside aisle w/interlocking pavers, tongue in groove ceilings, auto fly system, fans & lights+ a room with a/c hookup, custom floors, washer/dryer, refrigerator, saddle racks & another room for hay/ feed/storage. After a fun ride on Panther Ridge's 15-mile trail system, fish in the 1-acre pond and enjoy paradise! Additional Water Information Bass/Bluegill/Sunfish/Mosquito Fish/Catfish/Koi. Aerator is For Health Of The Fish. Aerator Has Extra Filters. Is Maintained By Pond Doctor. Pond is 1 Acre (43560 Sq. Ft.) & 15-20 Ft. Deep. Aerator Causes Water To Be Brown-Can Be Blue if So Desired. Listing provided courtesy of Ronnie Dewitt And Associates.